Albert Cahen d’Anvers, 1881, Pierre Auguste Renoir. Oil on canvas, 31 1/2 × 25 1/8 in. The J. Paul Getty Museum, 88.PA.133. 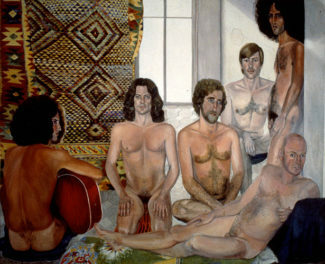 The portrait was sold by the Cahen d’Anvers family to a Swiss gallery in 1971. When you visit a museum, it’s easy to forget that objects have a story, a journey from where they began to where they are now. 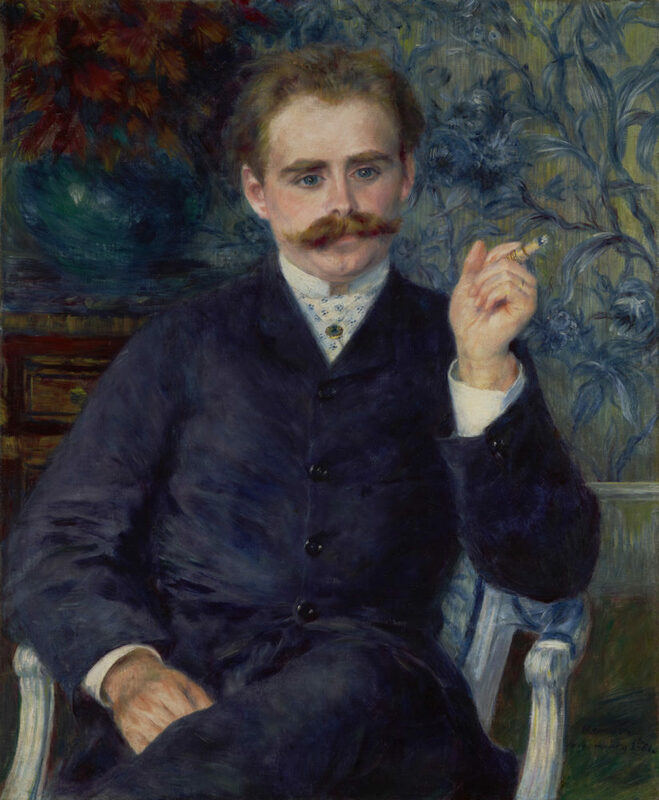 Take Pierre-Auguste Renoir’s portrait of the composer Albert Cahen d’Anvers. It’s one of the most beloved paintings in the Getty Museum’s collection. But who wanted Cahen d’Anvers on canvas? And why was Renoir the one to paint him? 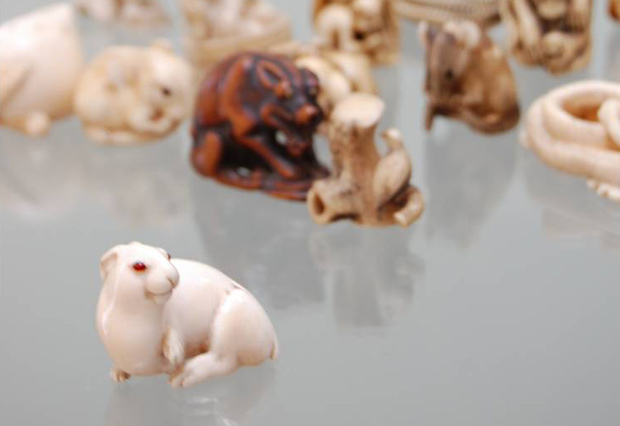 Ceramicist Edmund de Waal knows—and the answers all go back to netsuke. In 1994, de Waal inherited a collection of 264 exquisite Japanese carvings of animals, fruits, and human figures. He knew they were the sole remnant of the once-vast art collection of his ancestors, the Ephrussis, a great Jewish banking family. 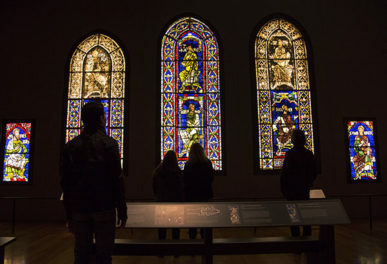 He also knew that much of the Ephrussis’ collection had been sold to art dealers or given to the French state, and that the Nazis had taken the rest. But he didn’t know why only these netsuke remained, or what they wanted to tell him. The result is The Hare with Amber Eyes: A Family’s Century of Art and Loss, a book written with the sensitivity and precision he’s honed as an artist of porcelain. The netsuke led him to Paris, home of his great-great-uncle Charles Ephrussi, their first owner outside Japan. Charles was one of the leading art collectors of late 19th-century France, editor of the Gazette des beaux-arts, model for Charles Swann of Proust’s Remembrance of Things Past. He even appears in Renoir’s Luncheon of the Boating Party—that’s him at the back in top hat and black suit. Renoir was an anti-semite, but Charles was one of his better clients; he paid on time. And here’s where Albert Cahen d’Anvers, subject of the Getty’s painting, comes in. “Charles persuaded Renoir to paint this portrait,” said de Waal. 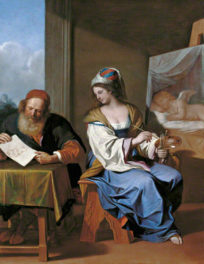 Albert was the brother of Charles’s lover, Louise Cahen d’Anvers. A “lazy cat” of a woman, Louise was so beautiful that she was compared by Edmond de Goncourt, with barely veiled anti-Jewish resentment, to Titian’s golden-haired Woman with a Mirror. Charles, Louise, and Albert loved opera, and shared a box at the Paris Opéra. The netsuke left Paris in 1899, when Charles gave them as a wedding present to his Viennese cousin, de Waal’s great-great grandfather. The family was dispossessed, their collection appropriated, after Austria became part of the Reich in 1938. But the netsuke—which, unlike the paintings and decorative arts, were small enough to be hidden in the mattress of the family’s devoted housemaid—remained. Planisphere Clock, case attributed to Jean-Pierre Latz, furniture worker; movement (now missing) by Alexandre Fortier, clockmaker, 1745–49. The J. Paul Getty Museum. The clock was sold by Maurice Ephrussi, Charles’s cousin, to a gallery in 1911. “It’s always puzzled me what we project onto objects, and what they give back to us,” he added. “I wanted to take objects back to where they were and what they meant.” So although his story began with objects, it ended with people. Maybe that’s what the netsuke wanted to tell him. I hope that DeWaal’s story will inspire others to weave their personal stories around their family objects before those that know the stories are gone. Having visited the Camondo Museum in Paris, having read Renoir’s book on his father the painter and now De Waal’s hare I can better understand what big art collectors mean to culture and why the Nazis tried to steal or destroy what was preserved with so much love and intelligence by Jewish cultured people. I consider “the hare with amber eyes” the best book I have read this year.